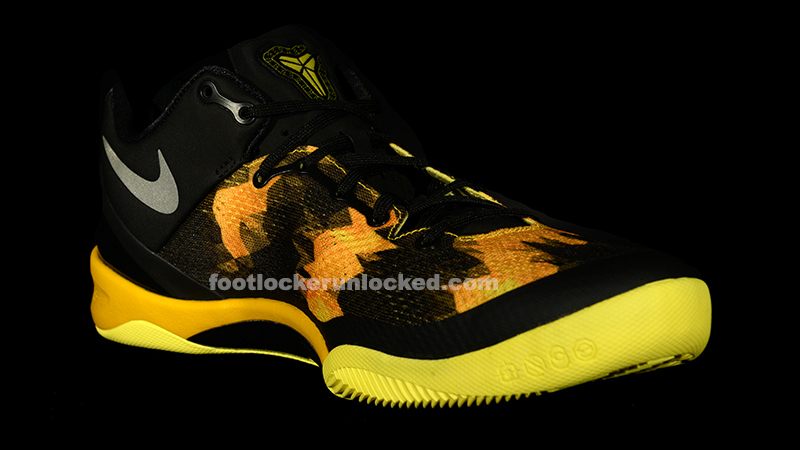 For fans of Kobe Bryant and sneakers there are few days more exciting in a year than the launch of his new sneaker. 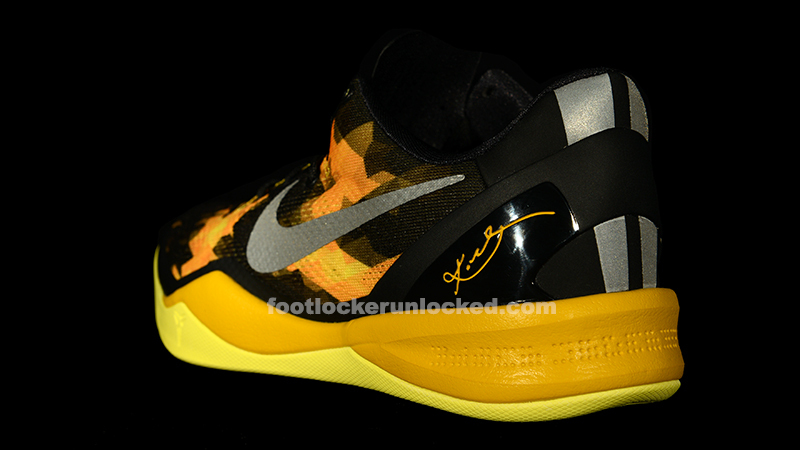 That day is today, December 20, as the Nike Kobe 8 drops in the black/sulfur “Away” colorway for $150. 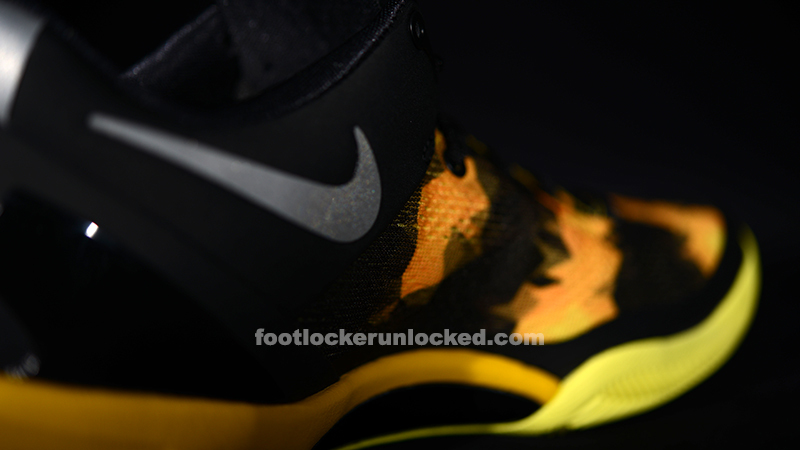 Though the silhouette in the Kobe VIII is similar to that of the Kobe VI and VII, this shoe is leaps and bounds ahead of its predecessors. 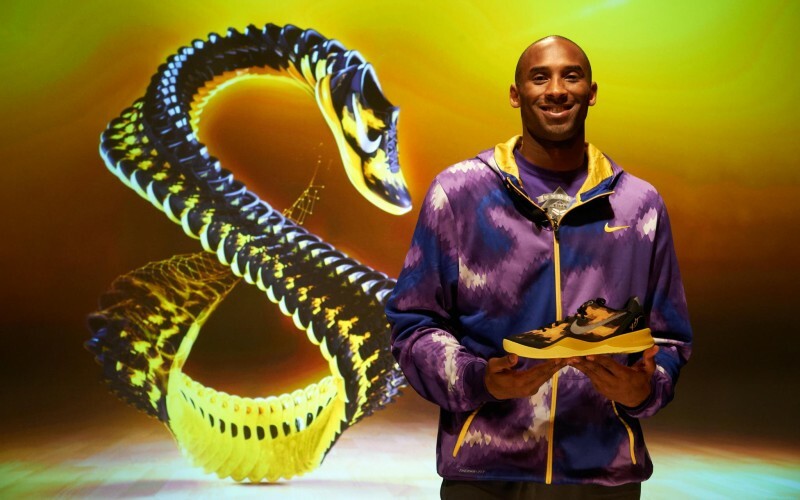 By using engineered mesh on a basketball shoe for the first time, the Kobe VIII weighs a mere 9.6 ounces, down from a little over 13 ounces on the Kobe VII. The mesh not only allows for the lightweight show but increased breathability and the woven snake pattern which is featured on the Black Mamba’s newest release. Debuting the VIIIs for the first time at Madison Square Garden last week, Kobe Bryant’s signature shoe will again feature a system, allowing you to change in a high top or low top insert depending on how you’re feeling. 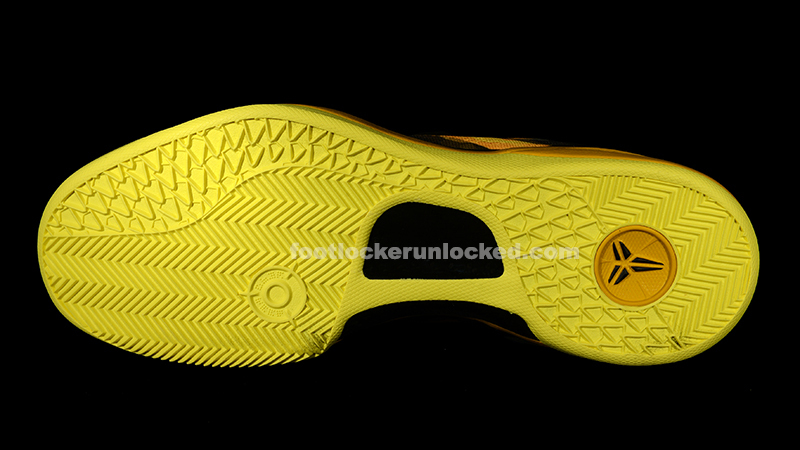 Another great feature of these new kicks is the insole. Lunar cushioning that is usually found on the midsoles of most shoes has been placed on the shoe’s insole. 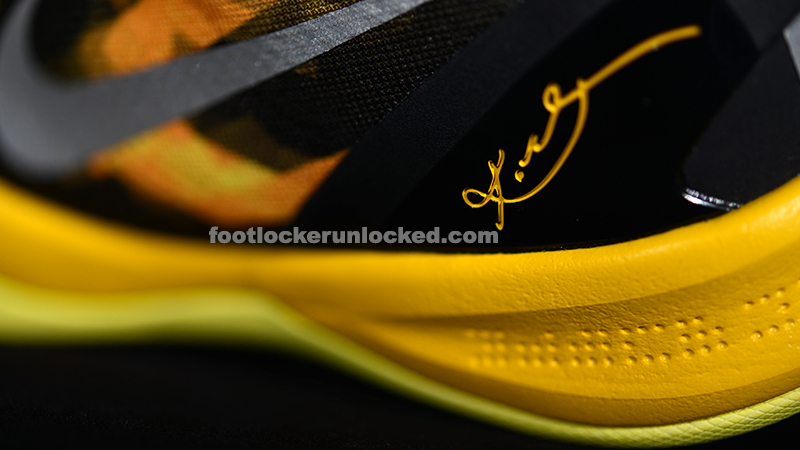 Take out the insole and and padding is almost non existent. Lunar cushioning inevitably decreases in effectiveness over time. 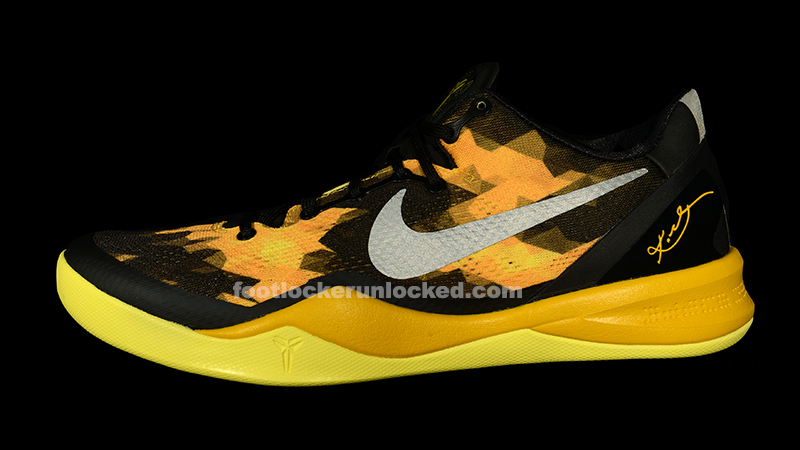 By putting the cushioning entirely into the insole, you can feel like you have a brand new pair of Kobe VIII’s just by replacing that part of the shoe. 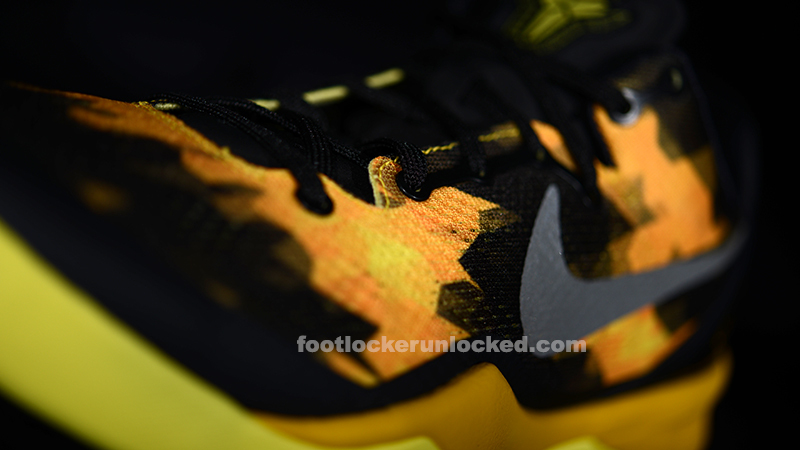 Coupled with the Zoom Air that has been in numerous Kobe models and you’re left with one of the most comfortable and lightweight high performance basketball shoes on the market.